The series continues with the best way to get up close and personal with professional race cars: Corner Work. Get Involved is a series of posts detailing a forms of grassroots motorsports on a weekly basis. I write these posts with one goal: To get you to bring your car to an entry level motorsport event. I want you to stop buying parts, stop planning for 'some day,' stop building the perfect car, and register for an event. It is ridiculously easy to have fun with your car right now, as you're currently driving it. You don't need a racing license. You don't need a roll cage, a fire suit, or expensive modifications. You do need $40, a valid state issued drivers license, and a car in safe driving condition. It doesn't matter if its a stock Camry, a tuned Civic, or a $75k Corvette, there's a place for you. There are a number of ways to get started - whether you want to drive on asphalt, dirt, or a race track. Maybe you don't have a car you're willing to autocross or PDX? Maybe you prefer working behind the scenes, making larger events possible. Or maybe you like earning discounted track time? You can still get involved with racing - in fact you can get closer than any ticket you can purchase will allow. In every race, you see them, but probably don't notice. 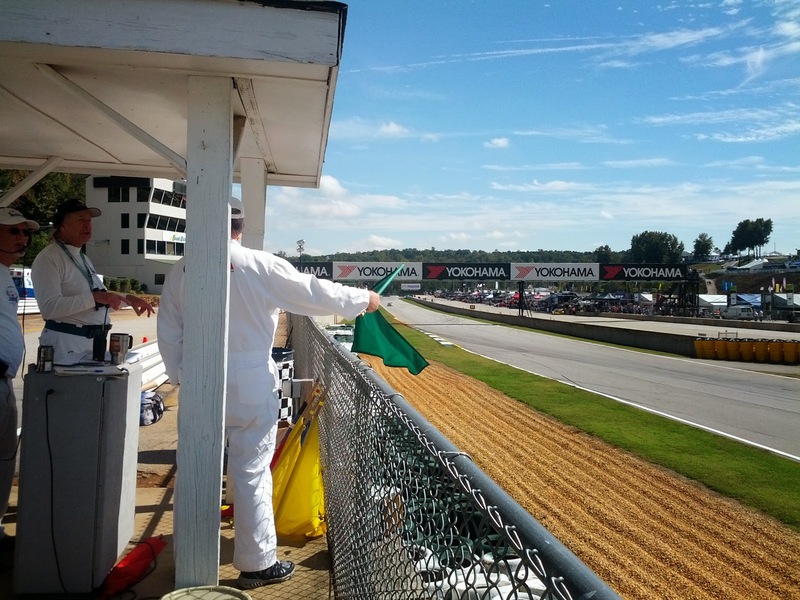 There are 3-5 people at every corner waving flags, inspecting the track, and watching the race for any change in track condition. They are responsible for communicating information to the drivers as well as reporting any incidents to race control. It takes a team of 50+ people to host a proper club race and double that for a top level professional race. These people are volunteers, sometimes travelling from many states away (and occasionally across an ocean) for the opportunity to sit mere feet from the fastest cars in the world. 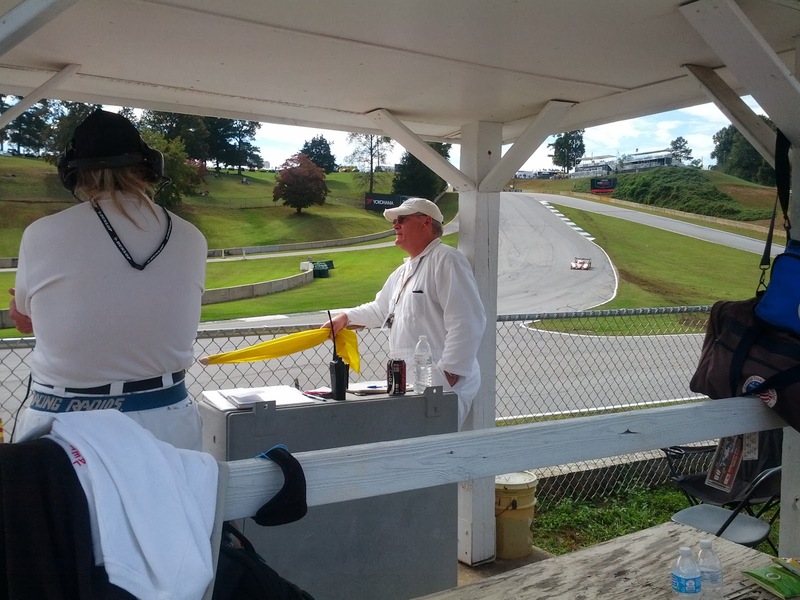 You and your fellow volunteers divide into teams, each responsible for a separate corner around the track. 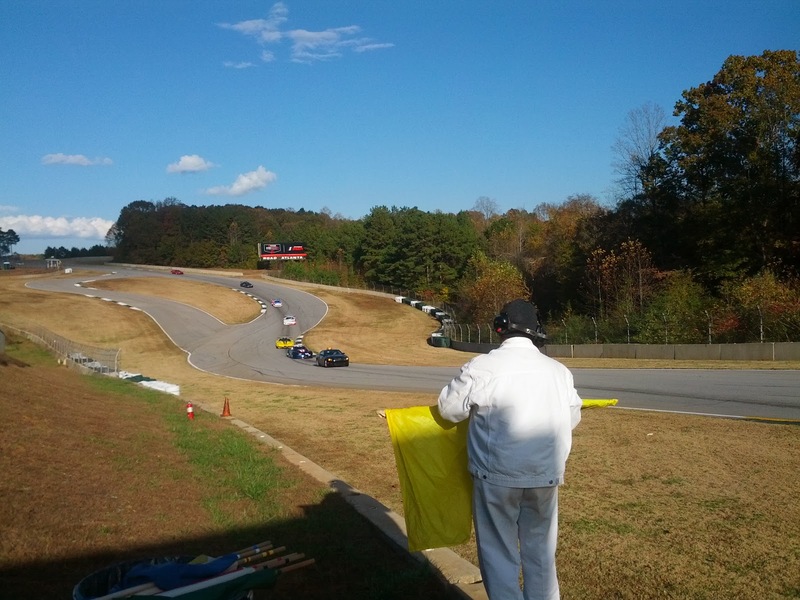 You will wave flags, communicate with race control, respond to disabled cars, and report foul play among the drivers. $0. Actually, you will usually receive a stipend to help cover your gas costs. You receive free entry to the event and the track will usually provide a free lunch for the workers. Many times, you will earn a discount on track time as well. This is how I got involved with PDX. Well, none. You're not competing, but that doesn't mean there is no skill involved. You will definitely be able to recognize the people who have been working corners for several years. They will see things on track and on the cars that you will miss, but you will learn from them quickly. SCCA and NASA both offer opportunities to work corners while earning a discount on track driving time. Do an internet search for your local chapter and contact them to learn about opportunities - they will always be looking for good volunteers.